"NaPanta” is a digital platform to address the Inefficiencies in pre-harvest management for residue free agri produce with superior market linkages across villages in Telangana and AP. NaPanta is growing rapidly in Andhra Pradesh and Telangana with a Farmer Base of 80,000+ Since June 2017." By using NaPanta, a farmer can access real-time and dynamic information pertaining to Daily Market Prices of 3500+ Markets and 300+ Agri Commodities along with 3-Year Price Trend. This free mobile application allows the farmers to track their expenses in an organized manner. Also, the farmers can use the NaPanta for information about crop management techniques, pesticides, insecticides, weather forecast, crop insurance, cold storage and related agri-dealer information in a specific location chosen by a farmer in AP and Telangana. Also With help of NaPanta app a farmer can book an agri equipment as per the requirements of their crop cycle. And farmer can sell their produce through NaPanta online platform without any middlemen. We are unique to disseminate overall farm communication at a single place, to access, which significantly reduces the time and cost of cultivation for a farmer in Real Time. With help of NaPanta, a farmer can get the required service or Information in less than 1 min of turn around time for all his crop-related issues which is available in the application. NaPanta app covers complete pest and disease management details over 90+ crops covered with 400+ chemical formulates, and its detailed usage on each crop and each pest. We also extended the services with one extra mile by providing 3000+ pesticide products available in the market by 26+ companies like Bayer and Tata Rallies. A farmer can compare and choose the best-suited pesticide product among the pool of products by various companies. The native language supported mobile application having services including, Buy/Sell/Rental of Agri Equipment, Online Market Place, E-Commerce Platform for farmers and with real time agri analytics. He has a total work experience of Nine years into BFSI domain including the Agri Finance. He has worked with two world class brands ICICI Bank and HDFC Bank Ltd in the banking industry on MSME Segments. His experience ranges from client servicing to Expertise in Working Capital Facilities and Credit Underwriting for MSMEs. He holds an MBA in Systems and an Executive MBA in Banking. 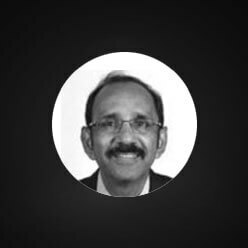 Srinivas.K is our Chief Technology Officer who oversees the development and deployment of latest innovative Technologies to meet organizational standards. 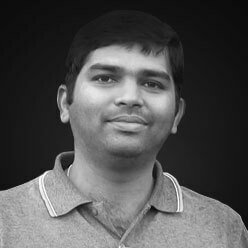 He has managed numerous commercial software development projects in the field of Travel Portals, CRM, Automation, Business Analytics and Security for various organizations from past eight years. Udayasri G is an M.Tech Graduate having 2 years of administrative experience with front of responsibilities. She is a sole person to take care the entire social Media Management for the app as well regular administrative responsibilities. Her extended interest in Social media promotion is one of the biggest advantages for the startup which has played a major role to reach the mobile application to masses. Ph D from Oregon State University, Corvallis (USA) in Agricultural Entomology (1984). Serving International Crops research Institute for the Semi-Arid tropics (ICRISAT) for the past 37 years covering Integrated Pest Management activities in groundnut, chickpea, and pigeon pea crops. Developed, evaluated, and shared IPM modules with emphasis on eco- friendly bio-pesticides. Published 150 research articles in international and national journals. His conferences which have been recognized by several awards including World Bank’s DM 2005 grant. Founder & CEO, Interface Agricultural Technologies, A lead Adviser and Mentor for Startups and MSME businesses in agri domain. He is a trusted spokesperson for Indian and International stakeholders for agribusiness. Ramachandra Murthy Pulumati is an Agri Business professional with 3 decades of thorough understanding of the complex socio-economic, political, cultural and environmental aspects of Agriculture and Agri Businesses in India and other major agrarian economies across the world. Celebrating 12 years of success @Interface, he involved in Farmer Empowerment and Entrepreneurship Development initiatives in agri ecosystem. He is with a proven track record, facilitating accelerated success of their client businesses and also nation building initiatives. Prior to founding Interface, he served a broad range of agri businesses that include Crop Protection Products, Seeds (conventional and biotech), Nutrition, Specialty Fertilizers, Micro-Irrigation and International Trade, for a period spanning three decades, in various capacities. 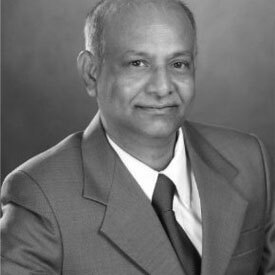 His contribution to the growth of the crop protection products industry in India is widely recognized. 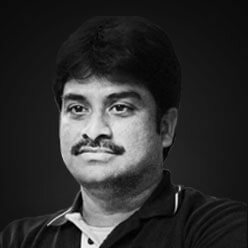 He has worked with major multinational Dow AgroSciences and large Indian companies like Nagarjuna in this sector. During his long career as a marketing professional, he has travelled extensively within and outside India and has strong professional relationships with opinion makers in the agribusiness sector. In recent years, Ramachandra Murthy Pulumati has successfully led a large and long term Stewardship Project in India that involved training through local partnerships by managing and mentoring local NGOs for Crop Life International, Belgium. This was a first of its kind and a model project for agricultural training and skill development in rural farming communities in India and has received global attention for its success. Also, designed and deliveringsimilar stewardship projects for Dow AgroSciences with multi stakeholder involvement. IIM Kozhikode, Entrepreneurship, Innovation & Incubation - Thought & Action. A credible thought-leader in the Entrepreneurship Ecosystem, an accomplished woman leader, avid networker, with noteworthy business connects both globally and across the country. 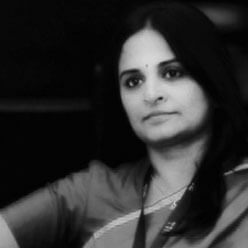 Strong business acumen coupled with adept people skills, gave her the edge of being the most sought after go-to person in the entrepreneurship ecosystem of partners - Corporate, Institutions, Mentors, Angel networks, VC /PE community, Service providers, Trade bodies, Associations. On a mission to promote Economic development by building sustainable new businesses and through improving National Innovation Infrastructures, Technology Commercialization & by helping start-ups form key strategic partnerships. 20 years of building & transitioning businesses across the Globe. Has elite recognition in business circles as trustworthy and accomplished businessman backed up by various awards. A start-up evangelist and a thought provoking leader. As a passion he actively engages with Startup Communities, Industry, Business Forums and Educational Institutions. He believes in Human Empowerment and on the mission of helping younger generation towards Entrepreneurship and Employability. Apart from his core responsibilities, he is Charter Member of TIE, an active member of HMA and NHRD and is an active participant of Non-Profit Organizations like LetsVote (Member – Core Committee), Freemasons and Rotary Club International (Member).